What Are The Types Of Roof Tents? The first one is manual deployment. You need to set up the tent yourself and place the ladder. However, the interior space of the tent will be relatively large, and you can also build a large space fence under the ladder next to the vehicle, such as vehicle awning. Washing clothes, bathing, resting on seats, outdoor picnics, etc. They are very practical and the price is the cheapest. The second is a fully automatic roof tent driven by a motor. It is more convenient to open and close. It can be automatically completed within 10 seconds. The high-end grades also avoid the hassle of setting up tents and save a lot of time. 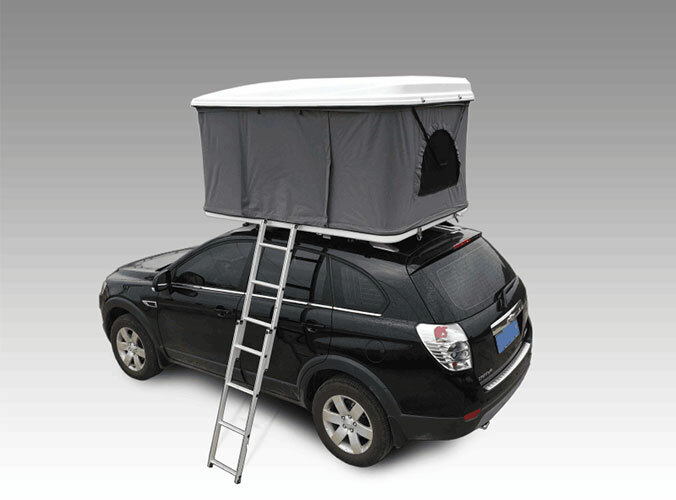 The third type is a vertical automatic roof tent. Hard shell roof tent is one of the popular products. 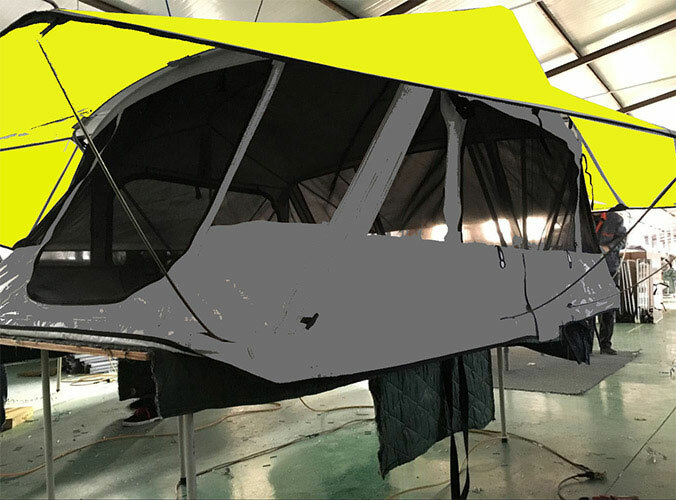 There are variety choices such as 1-2 person hard shell roof tent, 2-3 person hard shell roof tent, even the 3-5 person tent. The biggest difference from the second type is that it is faster to open and close. The roof is generally made of glass fiber reinforced plastic. The roof is very neat and the space is small. , It looks the most concise and beautiful, but the space is also the smallest and does not provide more shelter. What Kind Of Car Can Be Installed On The Roof Tent?